CorePower Yoga, which has an approximately 160 branches nationwide, is based in Denver, Colorado. It is considered one of the largest private-owned chains of yoga centers in the US. The CorePower Yoga is known for its different CorePower yoga styles being taught at its different locations. The CorePower Yoga style is the combination, more or less, of different yoga styles. The first CorePower Yoga was established on Grant Street in Denver, Colorado in 2002 by its then-Chief Executive Officer and founder Trevor Tice. The founder insisted on creating a national brand of yoga that challenges the body. CorePower Yoga can be found in many locations in the United States. CorePower Yoga studios now range from more than 165 locations across 13 States. The CorePower Yoga’ operations change in every branch. However, CorePower Yoga normally operates on weekdays from 5:45 a.m. to 10:30 p.m., and during weekends from 7:00 a.m. to 9:00 p.m.
What Makes CorePower Yoga Unique? The CorePower Yoga is famous for offering different yoga styles. Its founder, Trevor Tice, developed CorePower’s own yoga style, which combined power yoga, Bikram Yoga, and the Ashtanga vinyasa yoga. Members are being assured by the CorePower Yoga management of a workout not only for the body, but also for the mind. In addition to the yoga workouts, the CorePower Yoga studios offer amenities that can be considered conducive to yoga routines. First-time yogis are provided with their own yoga specialists. Furthermore, first-time clients are given instructors as part of either their trial pass or full membership. There are CorePower Yoga instructors in all of its locations. These instructors are certified yoga teachers that have yoga teacher trainings, which are also provided by the CorePower Yoga. CorePower Yoga, aside from its offering of yoga workouts, it also provides a modern and spa-like studio in all of its locations. Unlike other gyms, the CorePower Yoga management provides showers in all of its studios. In addition to the CorePower Yoga showers, private lockers are provided for CorePower Yoga clients. Changing rooms are available for use for both members and first-timers. In CorePower Yoga studios, everyone is taken cared of. As long as the client is 12 years old and above, he or she can join yoga classes. However, there are some age-restricted workouts. The setup of every studio is simple and spa-like. The CorePower Yoga ensures that everything in its studio – from the materials to the ambience – is clean and conducive to the CorePower Yoga workouts. And, if you are a parent, there are some CorePower Yoga locations that provide childcare facilities. Some locations offer CorePower Yoga Kids’ Club on certain days and schedules. CorePower Yoga offers per-class and membership options for its prospective clients. Prices and discounts vary per location. Specialty pricing are also offered to military personnel, yogis, and full-time students and teachers. Black Tag membership is a monthly offering of the CorePower Yoga that is comprised of unlimited CorePower Yoga classes. It ranges from 89.00 US dollars to 139.00 US dollars per month. The per-class pricing ranges from 22.00 US dollars per class up to 344.00 US dollars for 20 classes. All the membership and per-class prices are subject to discounts, which include persons aged 55 years and older. Once a CorePower Yoga client becomes a Black Tag member, he or she can access different locations. However, some locations collect surcharge fees per visit despite being already a member. Trying out CorePower Yoga before availing membership is free of charge for one week. This applies to all locations but to avail it, an online form must be filled up and the client must show up 15 minutes before the schedule first day of trial. After the one-week trial, a client can already choose their preferred mode of membership. All of which are considered interim membership modes. CorePower Yoga offers free-of-charge materials but only for first-timers. These materials include the yoga mat and the towels. CorePower Yoga studios also sell activewear and other yoga accessories. CorePower Yoga studios offer different kinds of classes, which are age- and goal-specific. Some of its classes are the following: CorePower Yoga 1, CorePower Yoga 1.5, CorePower Yoga 2, and, CorePower Yoga 3. For those with CorePower Yoga experience, some of the following classes are applicable: Yoga Sculpt, CoreCardio Circuit, Hot Power Fusion, Hot Yoga, and Core Restore. All of which are part of the membership or per-class costs. However, some of these classes require additional yoga essentials, such as water, towel, and yoga experience. 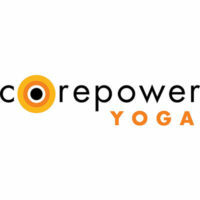 For more information on CorePower Yoga membership and cost, visit official site . This entry was posted in Uncategorized on September 23, 2017 by author. All attempts are made to provide up to date pricing information. However prices and services can vary by location and time of the day. Hence please consider prices to be estimated prices. GymPriceReview.com is an independent site and is not associated with or are affiliates of any chains or entity listed on the site.